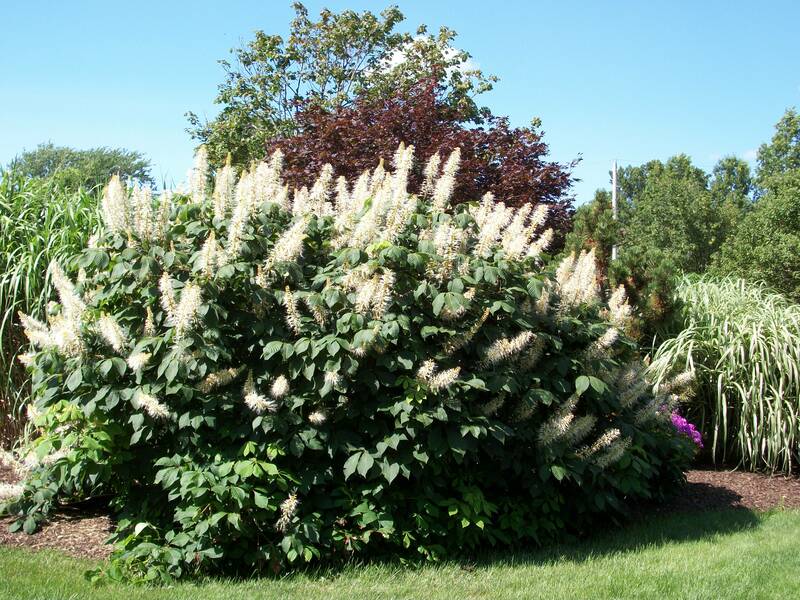 Large upright clusters of white flowers in June and yellow fall color. Spreading, suckering, multi-stem shrub that is excellent in masses or shrub borders. Prune to the ground to rejuvenate.